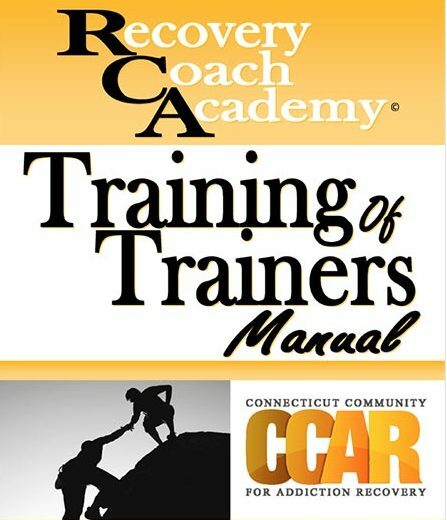 Authorized CORE Trainers of the CCAR Recovery Coach Academy Curriculum are able to purchase multiple copies of the RCA Trainers manual here. Please download, complete and return the RCA TOT Training Registration Form to CART or fax to 860.244.2228. No manuals will will shipped unless this form is submitted to CART.